Until recently, limited budgets kept most types of market research out of reach for entrepreneurs and other small- budget businesses. Today, through the Internet, small-budget businesses have more research options. Secondary research sources are easier to find. More affordable primary research methods – both qualitative and quantitative – are available online as well. There are four broad types of research, categorized by where the research originated and how the research is conducted. Where the market research originated – primary versus secondary. Primary research originates with your company. Generally, the results are proprietary and belong to you. You may find, however, that some research firms will conduct limited but relatively inexpensive primary research with the requirement that they can make the results available to other companies. An alternative to conducting primary research is to find secondary research, or research that originated elsewhere. You can obtain secondary research either by purchasing the information or finding it through free resources. 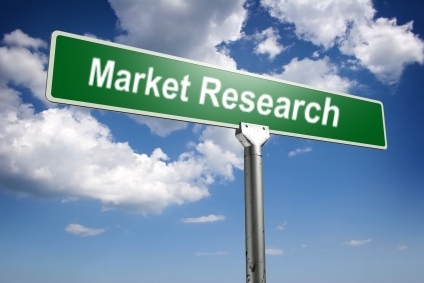 How the market research is conducted – qualitative versus quantitative. Qualitative research tends to be exploratory and directional in nature. It is designed to bring out issues associated with the subject matter as well as clue you in to the best general direction to proceed. Quantitative research, on the other hand, is designed to be analytical and rigid. This type of research produces results that are more statistically accurate than qualitative research results. Often, companies first conduct qualitative research when developing a concept or looking for ideas then later complete quantitative research to fine-tune and optimize. Combining the primary/secondary and qualitative/quantitative categories results in the four types of research. These are: primary quantitative, primary qualitative, secondary quantitative, and secondary qualitative research. As a small-budget business, much of your research will be limited to secondary research. Both the good news and the bad news is that there is a lot of it out there. By doing a targeted Internet search you are likely to find a lot of free, useful information. Potentially, you can find secondary research from numerous sources. Press releases and news articles often quote studies. Industry leaders and suppliers publish white papers or other studies. Annual reports are also good places to look for industry information. Research firms’ sites are another source of secondary research. Their main business is conducting primary research for clients or compiling and selling detailed syndicated reports. Often, they have top line data available in the form of press releases or executive summaries. The Federal government is another increasingly useful source of secondary data. At last count, 100 different government agencies publish freely available data. Qualitative research is conducted with a somewhat flexible format so the participants can give their opinions and feedback. Inexpensive ways to conduct your own qualitative research via the Internet are through do-it-yourself online focus groups and via feedback forms. Offline, a set of focus groups could cost about $10,000 and up. Online focus group services are a little more economical by can still be pricey for a small-budget business. An online focus group is essentially a formal chat session. A trained moderator leads a group of participants through a pre-determined discussion over the Internet. Participants are often recruited through a research firm’s own panel and are paid a fee for participating. If your budget cannot handle a professional service, you can conduct a focus group yourself by setting up a chat room and recruiting your own participants. Be sure to test the chat room service first, paying attention to perceived professionalism and any glitches your participants may encounter. Also, for best results, you should consider hiring a trained moderator to conduct the online focus groups. A simple way to conduct ongoing qualitative research is through a feedback form. You can gain valuable insight by asking your visitors how you are doing, asking them for suggestions, and/or asking them their opinions. You can do this through a form directly on your site and/or via email to those on your opt-in list. Quantitative research is used when you are looking for hard numbers and precision. To produce a top-quality primary quantitative research study you must generally work through a research agency. For a small-budget business, this type of research is expensive. The Internet has made more inexpensive means of data collection and analysis possible. With the help of software or Web-based tools you can perform research through customer surveys and collect visitor use patterns through Web logs. The Internet has made conducting surveys quicker and less expensive. Options range from do-it-yourself programs to research services with screened panels. You can use surveys in a variety of ways – segmenting your customers, improving/developing your product or site, and gauging brand awareness, for example. Another approach to quantitative research on the Web is to look for visitor use patterns such as, routes taken through your site, pages viewed, or ordering behavior. By studying Web logs you can know which pages are most popular, how visitors navigate through your site, common entry pages, and where visitors often leave the site. You can also determine the number of different visitors to your site as well as the percent of visitors converted to customers. By using a traffic analysis service or software (often available through your hosting service), you can streamline the process.